The kids made their own before supper tonight and then consumed them right before bed. I’m guessing sugar coma looks the same as going to bed. Then I made the rest. And not as easy as Pinterest wants us all to believe. That’s the thing about all of those pretty pictures. I have friends who are amazing at making things and making things that look so very very beautiful. I have children that are gracious and easily impressed. I’m thankful for all of them. Preheat oven to 400. Prepare baking sheet/pizza stone with non-stick spray or butter. Roll out dough. Mix Butter with seasonings and spread onto dough. Bake 5 minutes to set the dough a bit. 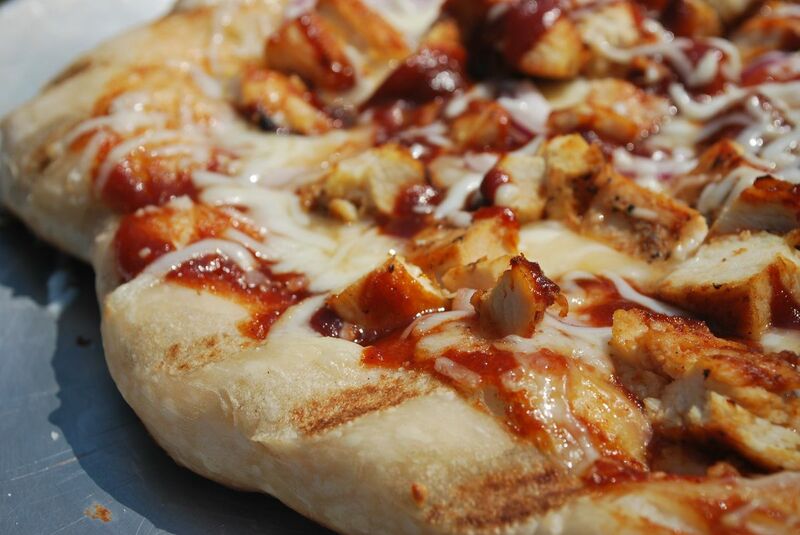 Remove from oven and spread BBQ sauce on top. Add chicken, onion, mushrooms. Top with mozzarella and cheddar. Bake 15-30 minutes – until cheese is bubbly or starting to get crusty, as you desire. Enjoy! Preheat the oven to 350 degrees F. Prepare springform pan with butter or non-stick spray. 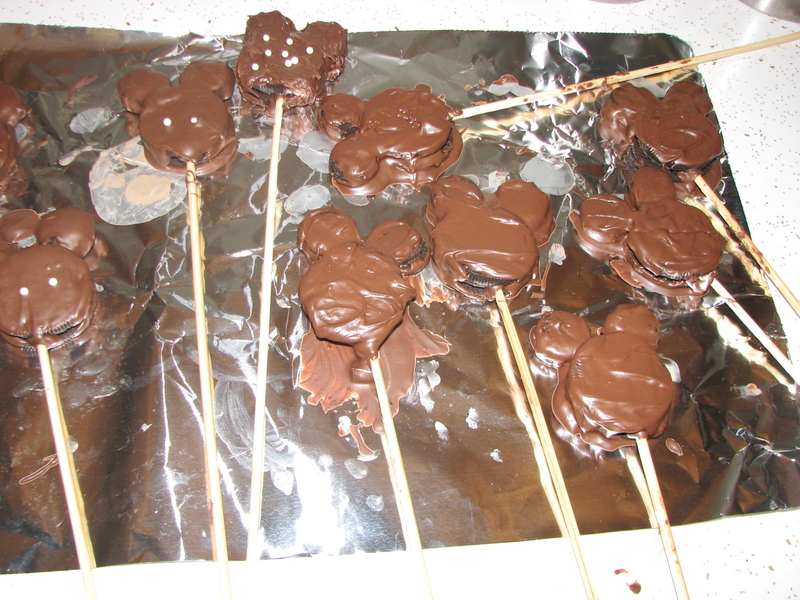 Put the chocolate and butter into the top of a double boiler until melted. Whisk egg yolks with granulated sugar until light yellow in color. My lovely assistant performed the mixing. She did a fantastic job, as usual. Whisk a little of the chocolate mixture into the egg yolk mixture to temper the eggs – this will keep the eggs from scrambling from the heat of the chocolate. 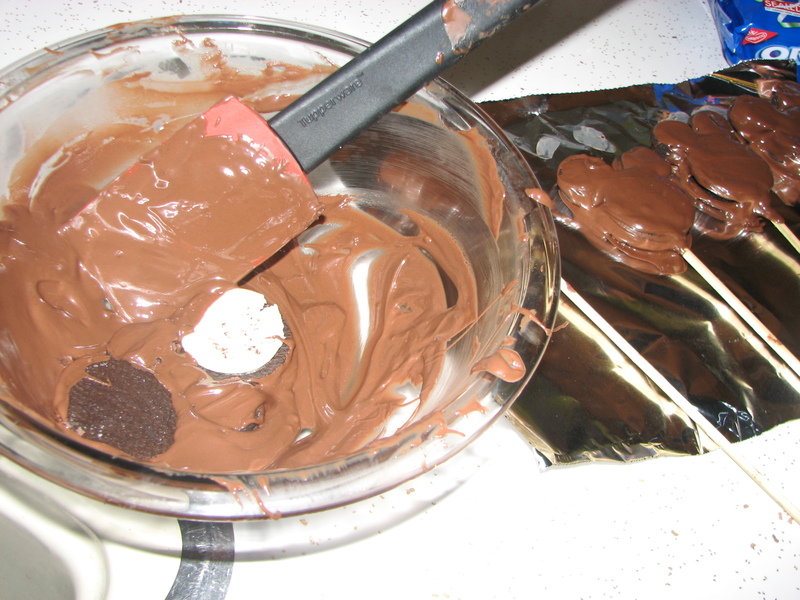 Whisk in the rest of the chocolate mixture. You need four of these blocks of chocolate. FOUR! I chose three bittersweet and one semisweet because I love the sweet. SWEET! Melting! Okay. Full disclosure. I dorked this recipe up. There is no butter melting with these chocolates. I forgot to add it. SO LAME. The entire cake was in the oven when I turned around and saw the butter sitting on the counter. I freaked, pulled the cake out. Melted the butter in the microwave. Mixed it into the batter and then put it back into the pan and then back into the oven. Perhaps it would have been fluffier if I'd done it properly, but it still rose and was just fine. 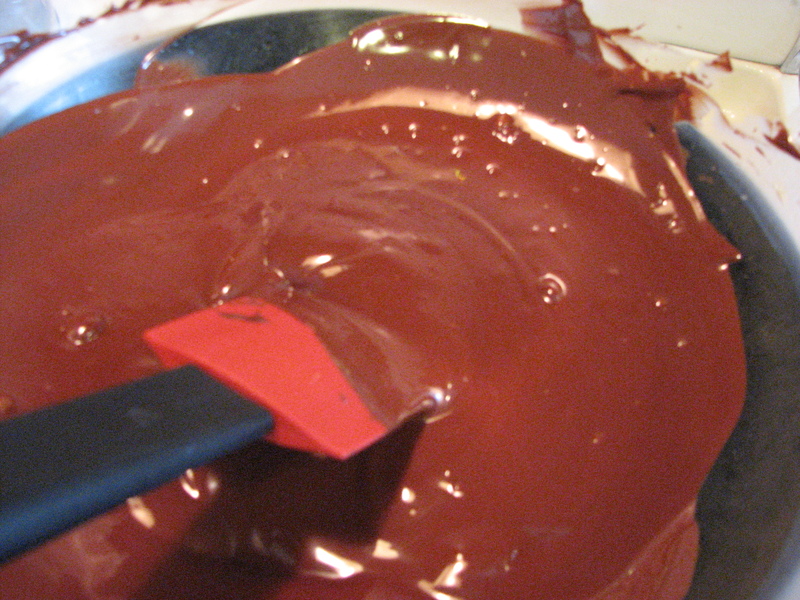 Beat the egg whites in a mixing bowl until stiff peaks form and fold into the chocolate mixture. 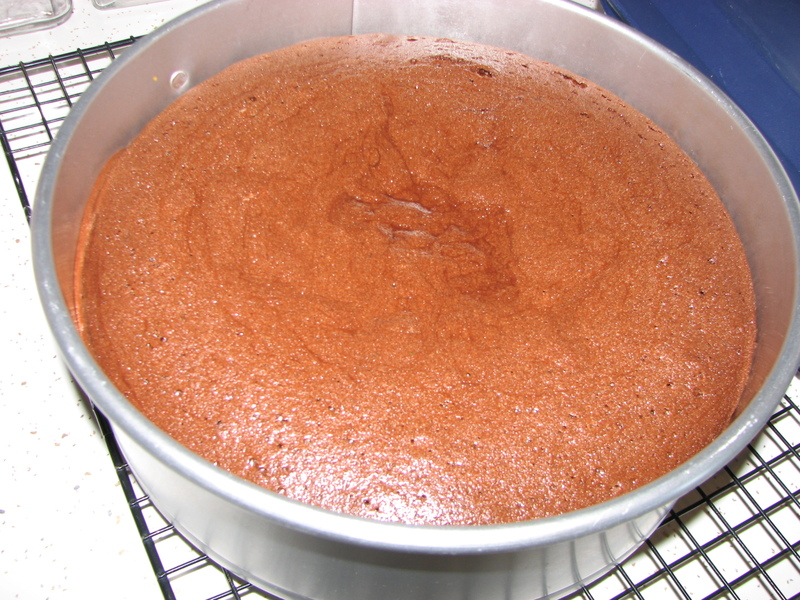 Pour into the prepared pan and bake until the cake is set, the top starts to crack, and a toothpick inserted into the cake comes out with moist crumbs clinging to it, about 25-30 minutes. 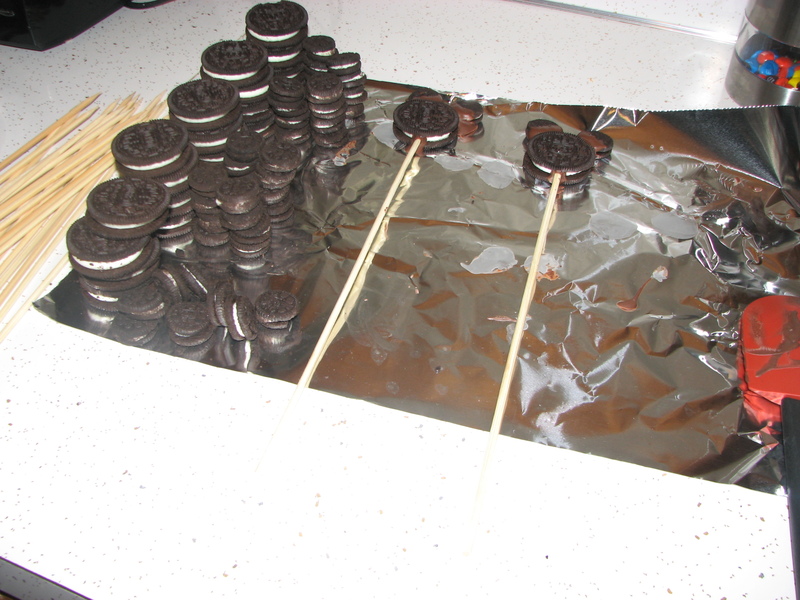 Let stand 10 minutes, then unmold. While the cake is cooking, make the whipped cream. 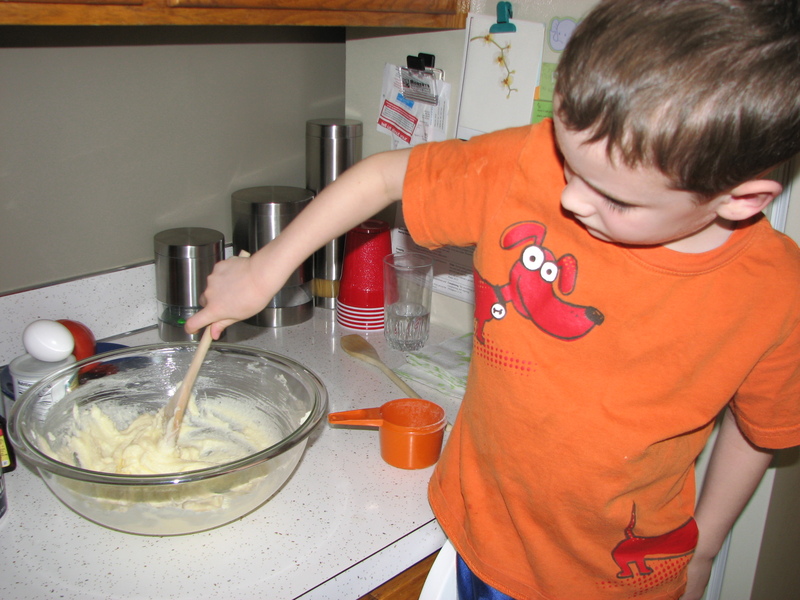 Whip the cream until it becomes light and fluffy. Serve the room temperature cake with a side of cream. Enjoy. No cracking in the top. I pulled it out before then because I was nervous about over baking. Don't fret, friends! Let it bake. Let it crack. 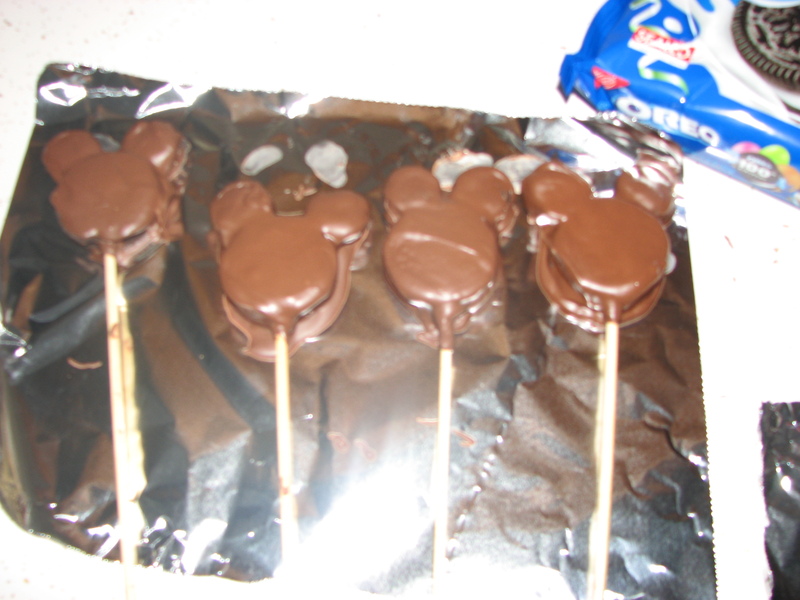 Mine was slightly underdone in the middle (which made it kind of like fudge and not bad at all, but for sure not done). This was the most delicious chocolate cake ever. It is rich and delicious and I could not love it more. You’ll cut tiny pieces because this will be so rich that you wont be able to eat more than a sliver at a time. Serve it with some raspberries or strawberries to freshen it up and you’ll probably get marriage proposals. Cream together wet ingredients. Mix in dry ingredients. Chill. Roll out (or, if little hands are involved, just have them roll into balls). Bake at 400 for 5 minutes. 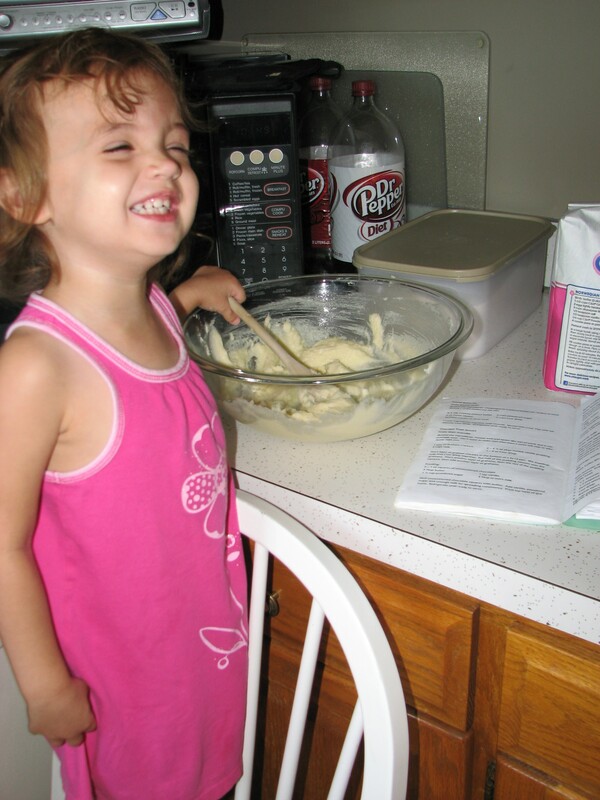 So happy to bake! OVERSMILE! Do we still need to measure these? Eyeball it. Get it to the right consistency and taste. Grab the Betty Crocker cookbook if you’re proportions seem really off. Keep taste testing. Frost yo’ cookies. Enjoy! He seemed so much happier before I pulled out this camera. Of course my recipe does not contain any eggs. It does come with a story (the best ones always do). When I was a tiny girl we lived in Hawaii and we would go to this little restaurant where my parents would order wantons and I would eat them. That was a major deal for me because I was a stupidly picky eater. Those tiny wantons made our whole family happy – they were delicious to eat and it was a fun time out of the house while nobody was freaking out about not wanting to consume the food. It was like those tiny little packages of meat could wash away all the darkness off of our otherwise happy Hawaiian days. It was like magic. Later, after we’d moved to Omaha, we could not find anything that could compare. We did, however, have a deep fat fryer. The solution felt closer than it really was. 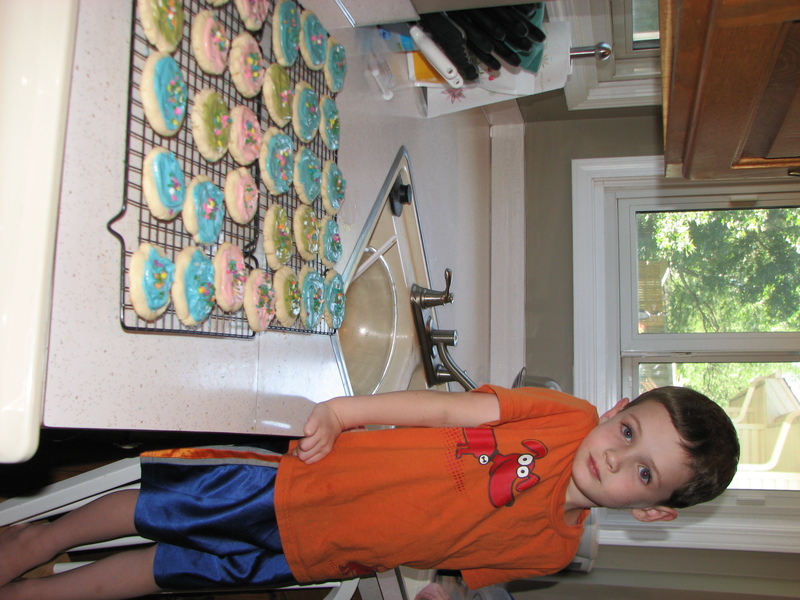 This was before Allrecipes.com and Google. It was during the dark ages of information, when we all knew that there was data to be had in the minds of others, but an actual phone call would need to be made in order to procure that information. Can you even remember those days? Do we want to? We never did figure out how to make those wantons taste like our favorite ones, but we did strike upon our own little version of awesome, consisting of pre-made wanton wrappers, ground beef, ginger, soy, green onion and pepper. 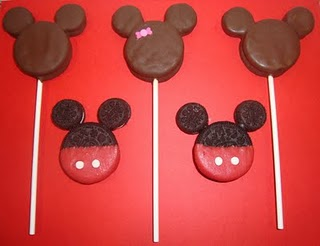 My brother, mother and I would whip them up and try to not eat them all before dinner officially began. 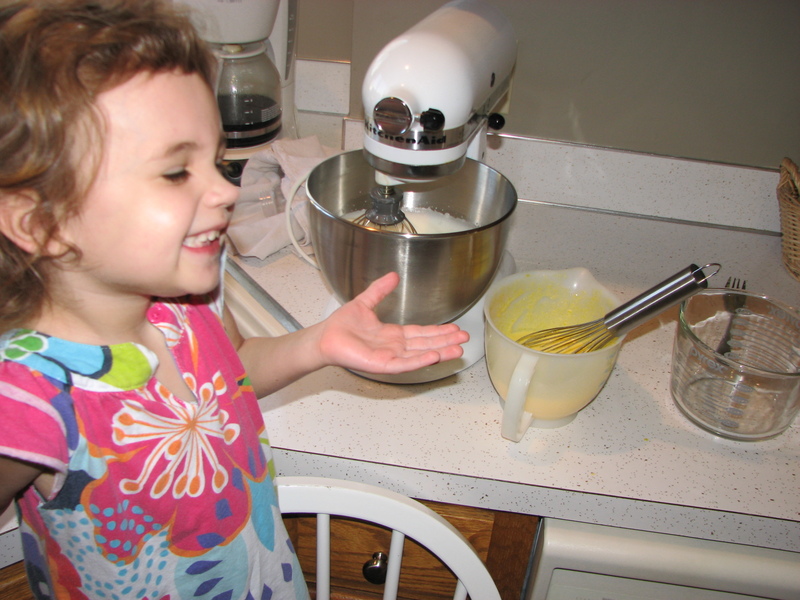 It was another kindred spirit kind of moment in our family (most of them center around food. Stop judging us. Never mind, go right ahead. We also firmly believe that the toilet paper should unroll from the top and not hang out underneath the roll, hiding from everyone in some kind of not fun hide-and-seek at two am). Where was I? Oh yes. We love eating. Somewhere in there, though, probably around the time I was living on my own and only buying meat once a week to save moolah, I discovered vegetables and started adding them to every lunch and supper. Kind of an obvious one there, I realize, but a revolutionary one for me. 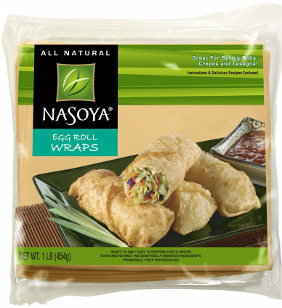 And that is how pseudo-wantons became egg rolls. I could sing the praises of SoyVay for a while, but you can just go here to read about them. 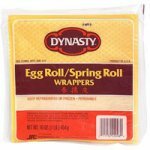 I like either of these wrapper brands because I think they cook up the way I prefer. You can disagree and buy whatever. Brown the meat the way you always do and add the 1/4-1/2 cup of Soy Vay after it is fully cooked. Meanwhile, julienne the cabbage, shred the carrots and thinly slice the green onion. Add them into the pan and cook slightly (that’s kind of an annoying way to put it, but don’t cook them too much and get mush. Let them keep their crispness). Remove from heat. Prep your cutting board with a small bowl of lukewarm water and get your wraps in front of you like they are diamonds (the packaging shows you how to fold them, but just in case…). Place the filling diagonally on the wrap. Fold the bottom corner over filling. Fold up both sides snugly against the filling. Moisten the edges with water. Fold the top over and seal with water. In a deep skillet, heat oil to 350 (I put my burner control right under medium-high). 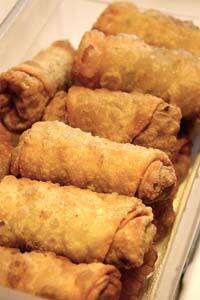 Place egg rolls, flap side down, into the oil, using tongs (or go ahead and burn yourself like I do. It’s awesomer). Cover with a splatter pan and let fry for 1-2 minutes. 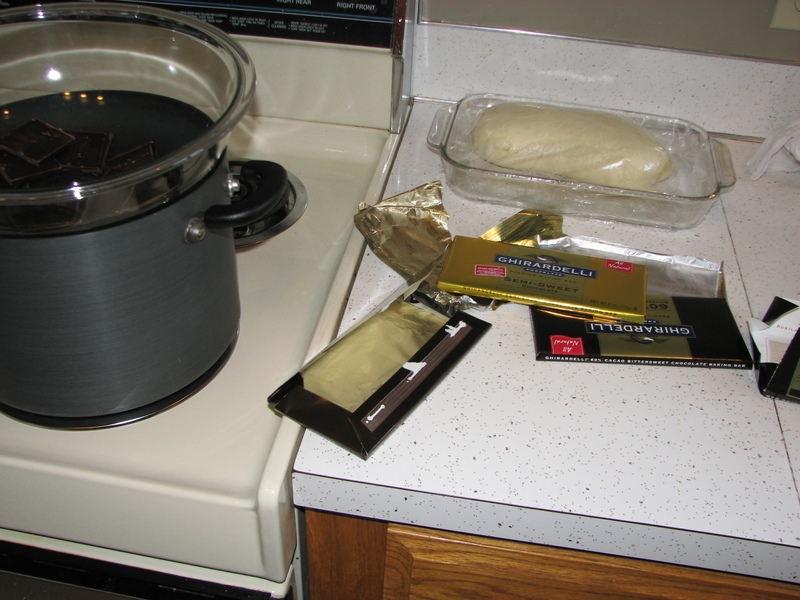 Once the wrapper is golden brown, flip and cook just slightly less than the other side. Remove to paper towels and devour. Jud likes to eat them with Thai Sweet Chili Sauce and I prefer them plain. Imagine that. Decor: Located in the old California Pizza Kitchen bay of One Pacific Place, Ingredient, is open and spacious. Windows and natural light keep it from seeming dark, but the tint kept it cozy too. There was a heavy use of plexi-panneling with bamboo and dried flowers and swirls and such to add privacy and visual interest. This is an order at the counter diner trying to feel like it’s upscale, except that they plastered the place with televisions. You can watch sports! And look at wheat encased in plexi-glass! I don’t know, either. The menu is large, and I don’t just mean that there is a lot to order. The actual menus that hang on the wall are gigantic with writing so far up the wall that I literally had to crane my neck to read them. Granted, I’m 5’2″, so this is mostly bothering me, the little people and children. Still. Proportions matter. Ordering: The young woman behind the counter seemed tired and a little overwhelmed, with a deep line of people coming her way, I couldn’t blame her. 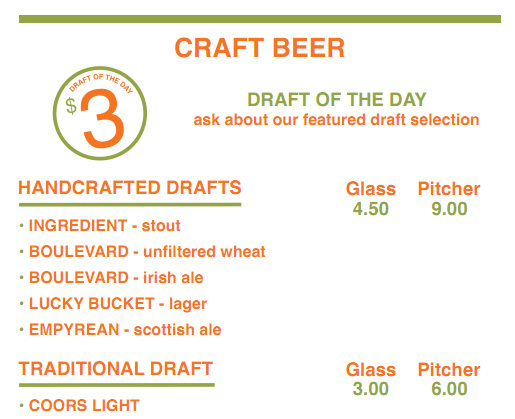 We asked about the ‘draft of the day’ which is $3/glass she stated it was Coors. Can you see why that seemed slightly ridiculous? Yeah, it should’ve been obvious that things here weren’t going to go well. If only, we’d gone straight to Red Mango at this point. 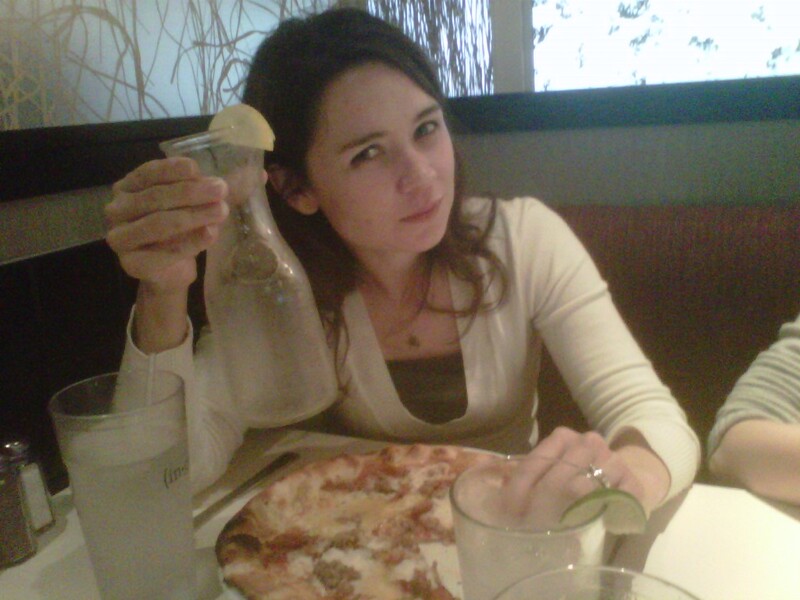 AND, unfortunately, Allison and I decided to share a carafe of margaritas. It seemed like a good idea. But it wasn’t. It really, really wasn’t. 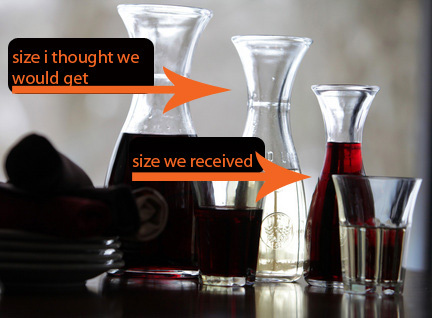 First, it was a TINY carafe. Now, I know, in their defense, it says right there in giant numbers that this is a 1/2 liter. I, of course, am spatially stunted, so that means nothing to me. I expected one thing and got another. When the young woman brought it to our table, she seemed apologetic. Probably because the carafe was full of ice. It was mostly ice. And I have never really hoped to pay $15 for a carafe full of ice, unless maybe I was taking the carafe with me at the end of the meal. Even then…. There were so many harbingers of the horror to come! If we had only been paying attention and not trying to catch up with each other and enjoy our birthday celebration. Be ye not so unwise, dear readers! And then the food came. And it was not pretty. I should say that the pizzas were not pretty. In fact, they looked barely baked, save for some char on the crust rim. The cheese was just to the other side of melted. You could still see the outlines of the shredding in some spots. Not gooey. Not bubbly. The salad was bright and had some nice pops of color. Jud and I were both immediately jealous of Allison (as if we weren’t already! Have you seen her stuff?). And then we started eating. I know this guy, doesn’t agree, but it was awful. I believe my exact words were “I wish I was eating a Totino’s Party Pizza. I would be $9 richer and it would taste better.” The meat wasn’t high quality. The cheese was nothing of note. And the crust was bland, rubbery and flaccid. Jud’s pizza was no better. The thai peanut sauce tasted exactly like Kraft’s Asian Sesame Ginger sauce (which is pretty awesome on a salad at home, but less so on a pizza). The vegetables weren’t especially cooked. They clearly needed to spend more time in a ridiculously hot oven. The cheese and crust were just like mine. Meanwhile, over in awesome land, Allison was not too unhappy with her salad. She munched. We all talked. Jud and I choked down our pizzas because we were STARVING. And then, IT HAPPENED. There was a terrible noise, like grinding and enamel and rocks. Why? Oh, because THERE WAS A ROCK IN ALLISON’S SALAD. Not like a little pebble or something. A rock. 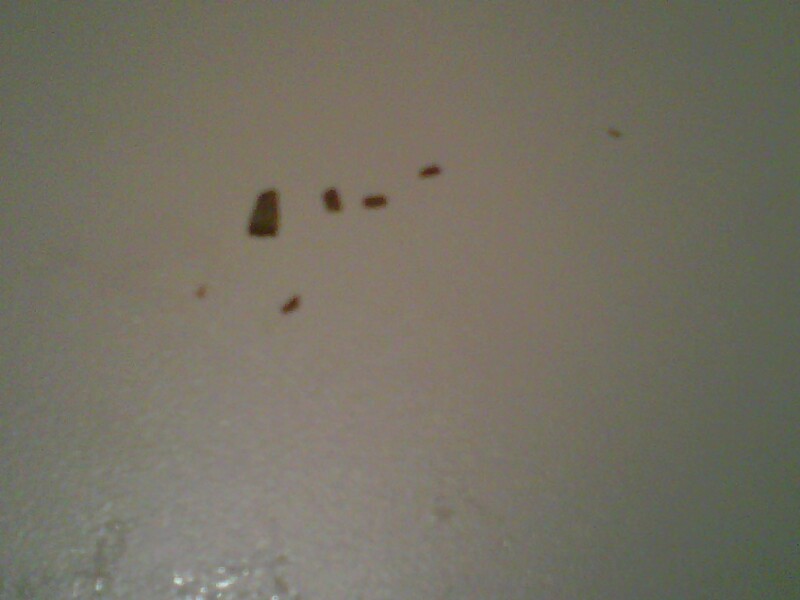 A rock that had been hiding in some lettuce and that she bit into multiple pieces. How large? Here you go. We photographed it. Let’s see? Another salad that you most likely have also poorly washed? NOPE! We’re good, sir! Another Shrug. “Do you want your money back,” asked Shruggy McShruggerton. “This isn’t about the money,” I said. And it isn’t. It still isn’t. It’s about proper food preparation. It’s about public trust. It’s about taking responsibility and owning the fact that someone was INJURED eating the salad for which your name should be vouching. Then he picked up the largest piece of rock and walked away. Allison returned. We walked out and over to Red Mango where all of our hopes and dreams for humanity were restored. Verdict: Eat at your own risk, Dan. I bet the rest of you are with me. Any place that wants to pride themselves on what goes into their food (hence the name ‘Ingredient’ I suppose) ought to start off with something great, make sure it is prepared properly and serve it with class. They missed the mark on every level and we will be using our own ingredients from here on out.